Okay, hold up. I’ve driven past the sign for this shop hundreds of times in my life. It sits at a busy intersection outside Hoosick, on Route 7 between Troy, NY to Bennington, VT, right across the street from the incredible Big Moose Deli. But I always figured the weather-beaten sign for Dog Ears Books was for a tiny little shop in some country stable, the outdated books yellowing in the summer sun, hardly worth the time to stop. I couldn’t have been more wrong. This place is a treasure trove, and you have to put it on your “Must Visit” list as soon as you can! The initial steps leading inside and the first impression of that foyer gave me pause. 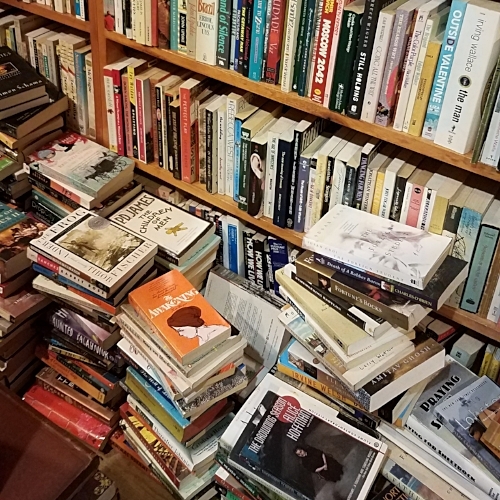 The books were all jumbled and tossed together, with cardboard boxes sitting askew atop tables and piles, but as you work your way into the front rooms and aisles, the real magic starts to hit you. This place is HUGE. And it has everything. This might be one of the biggest collections of used books I’ve ever seen, and while some look a little rough, the majority are in great shape. For example, as I prowled the children’s area just to the right of the front door I found a whole bunch of early 1980s paperbacks from The Three Investigator’s Series. I loved those books as a kid, and I used to have the original hardcovers that included “appearances” by Alfred Hitchcock. These weren’t those original volumes, but the stories were the same and they were in great shape for old paperbacks. I bought eight for $1 each. I took detailed notes of the types of books in each section, but it all boiled down to the same thing—the sheer volume of books here and the quality in each section is stunning. I had an armload before I made it a third of the way through. Much of the downstairs is fiction, split into the usual categories: mystery/crime, general, literary, horror, etc., but it reaches into poetry, essays, biographies, writing-related, literary nonfiction, a section of first editions, so many books that it was hard to move around, row after row, piled and stuffed into every possible space. It was like a playland and there were a lot of people there having the time of their lives scouring for books to take home. And that’s just the first floor. Upstairs I found history sections broken down by era, nation, and region (I thoroughly investigated the Scottish section) and all kinds of books covering chemistry, biology, animals, gardening, math, engineering, travel, maps (like old road maps you’d buy in gas stations in the 40s through the 80s! ), politics, books about books, just on and on. I’m told there was a basement full of mass market paperbacks too, but I already had too many books to bring home. I saved that for next time. In all, I brought home the eight Three Investigators books, a first edition of The Exorcist by William Blatty, a collection of essays by William Kennedy, and A Short History of Scotland by P. Hume Brown, all for $20. Less than $2 per book. There’s no beating that. Check this shop out. You won’t leave without a smile on your face. One caution—bring cash or a checkbook. They don’t take cards. Atmosphere — A huge multi-level barn packed with books, towers of books, boxes of books, with that dusty old book smell and creaking wooden floors. It’s cozy and expansive and it feels like a dream. Quality — For used books, the majority were of excellent quality, and the older editions were the type you won’t find in most other stores. But there were still enough dated volumes and castaways to make you work for those gems. Quantity ­­— I think I made this point clear—massive amount of books. It felt endless. Diversity — One of the best arrays of nonfiction I’ve seen, with all sorts of styles in the fiction section too. Affordability — Very affordable considering what you’re getting. Good books and good prices. Bring cash, no cards accepted here. Amenities — Not many in the shop itself but there’s a great deli and gift shop across the street with all kinds of treats. Location — Just outside of Hoosick on Route 7, at a bustling little intersection. About 30 minutes east of Troy, NY. Customer Service — The older gent at the front counter was kind, and knew his shop like the back of his hand. 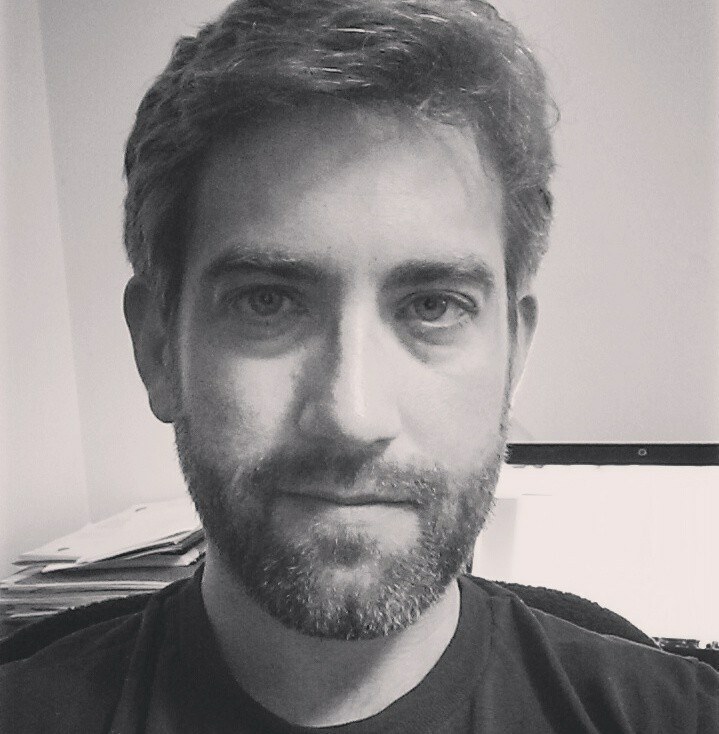 Go say hi! 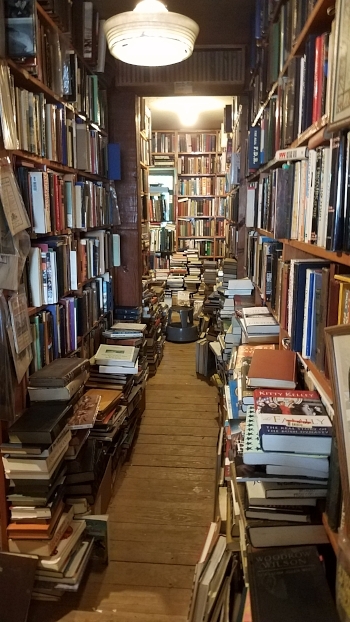 Overall — This is a must visit shop with an incredible selection of used fiction, science, history, poetry, plays, mysteries, and first editions. I can’t believe I held off exploring this shop for so many years. Don’t make my mistake and go!